4588 Bathurst Street, #119, Toronto, ON. Turn your morning coffee into someone’s good night sleep. The House is partnering with Milkbags Unlimited to spend an evening weaving milk bags into mattresses which will provide comfort to people in underprivileged and disaster-struck areas worldwide. 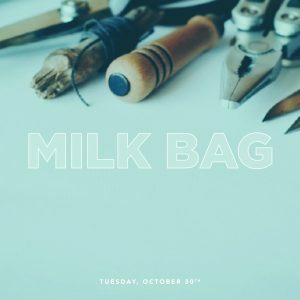 This hands-on opportunity will also keep hundreds of plastic milk bags from spending the next 25 years in landfills. We guess that is why breakfast really is the best meal of the day!